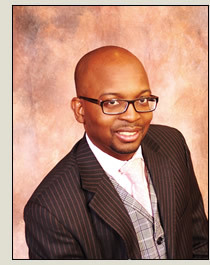 Terris C. Harris is an attorney who is committed to his clients and his work. His talent, education and experience formed the foundation for an exemplary legal career. Terris’ primary practice areas are Qui Tam/Whistleblower, Healthcare Commercial Litigation, and Healthcare Fraud. He also practices in the areas of Medical Malpractice, Products Liability, White Collar Crime and General Civil Litigation. Terris is licensed to practice in Mississippi and Illinois. A native Mississippian, Terris is a decorated U.S. Marine and served in Operation Desert Shield/Storm. After being Honorably Discharged from the U.S. Marine Corps, Terris earned his B.S. in Psychology and his B.S. in Mass Communications from Jackson State University, his J.D. from the University of Mississippi, and his Masters of Law (LL.M.) in Health Law from Loyola University Chicago. Terris gives as much to the community as he does in the courtroom. He leads and serves in a wide array of organizations including, but not limited to, the Boy Scouts of America, Kappa Alpha Psi Fraternity, 100 Black Men of Jackson, and Delta Regional Institute. Passionate about the pursuit of justice, Terris has worked to educate his peers and the public about healthcare fraud. His published articles and lectures at seminars, conferences and universities increase understanding and further integrity in the field. Terris is actively involved in his church and enjoys the outdoors. He is an avid hunter and aviation enthusiast. Terris is married to Demetria Harris, and they are the proud parents of Terris II, Tori and Taylor.